Anyone for tennis (lessons)? 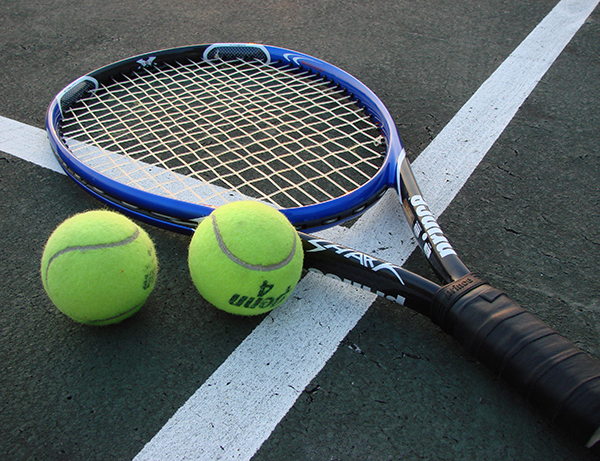 Six pro tennis lessons for just £15 is great bargain. Grab it now. For six weeks from Tuesday 5 May, Aberfeldy Tennis Club is offering junior tennis lessons with a professional coach, for just £15. That’s not £15 per lesson; it’s £15 for the entire six-week course. Children must be in at least primary three, but apart from that the lessons are open to all. Lessons will take place every Tuesday, between 4 and 5 o’clock. Whether your child already loves sport, or is still looking for the right sport for them, this is a great opportunity to try out tennis. The club’s also running adult lessons on the same dates, between five and six o’clock. Adults pay £30 for the six-week course. So why not learn together with your child? To book a place, please contact club out-reach officer Eddie Vincent on 01887 820135.